Horsepower (hp) = voltage x amperage x % EFF x power factor x 1.73/746. Voltage is the average of the three voltages measured: (A-B + A-C + B-C)/3. 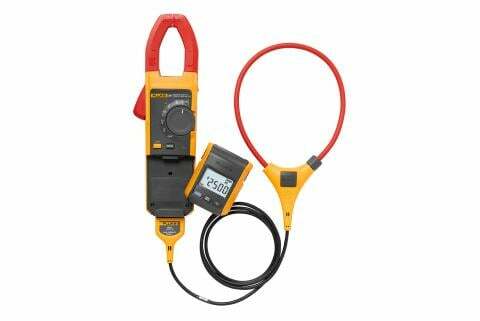 Amperage is the average current of the three-phase measured: (A+B+C)/3. % EFF is motor efficiency per motor nameplate. Power factor is the ratio of true power (kW) to apparent power (kVA). 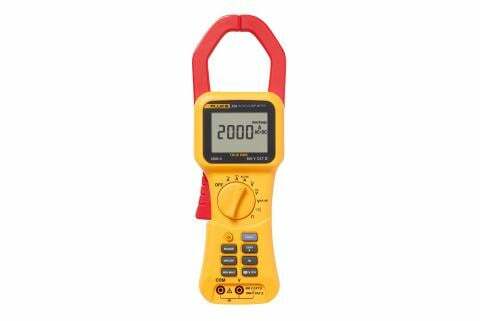 In the absence of power factor measurement tools, a rule of thumb is to estimate power factor at 0.85. 1.73 is a constant used when calculating three-phase power. 746 is the constant for converting watts to horsepower (746 W = 1 hp). 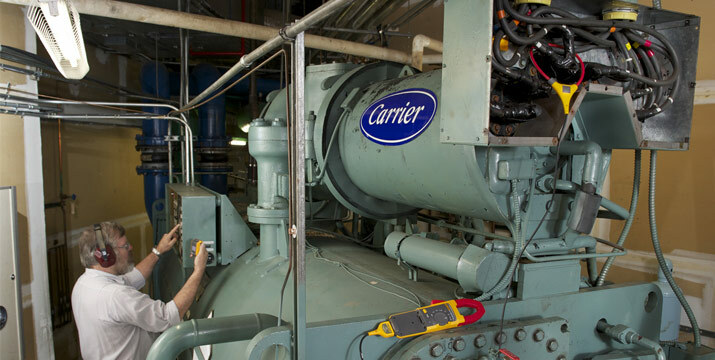 Example: How much horsepower is a 25-hp motor producing at 472 volts and drawing an average of 20 amps per phase with a motor nameplate marking of 90% efficiency? Then: 472 V x 20 A x 0.90 x 0.85 x 1.73/746 = 17 hp. 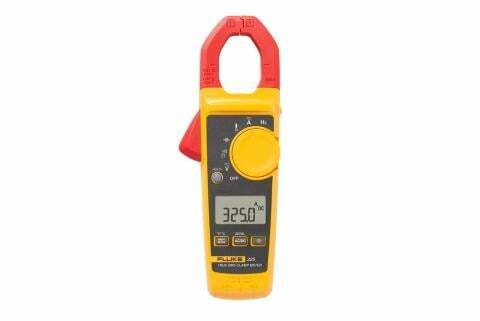 It is important to use a true-rms clamp meter to get accurate readings. While motor currents can usually be read directly off the face of an adjustable speed drive supplying an associated motor, other equipment will require the use of a meter providing accurate readings in the presence of harmonics and sine-wave distortion.